There is a wide range of innate learning abilities amongst the children in any class. The aim of an educator is to facilitate all students in reaching their potential. The standard curriculum is designed to meet the needs of the majority of children in a regular classroom setting. Classroom Support provisions modify the core curriculum to meet the particular needs of children with specific learning difficulties. Gifted children also require curriculum modifications to meet their particular needs. 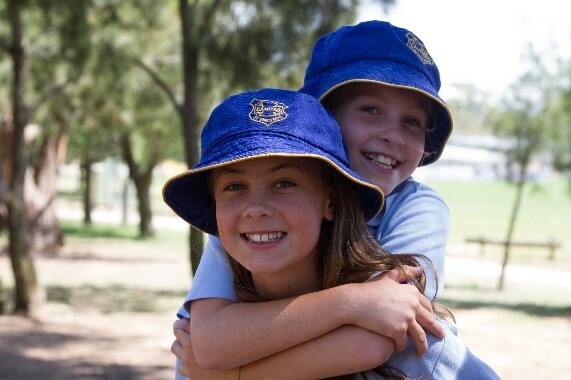 At St Vincent’s we aim to create an environment that is safe and nurturing and to develop an individual rapport with all children. The Classroom Support Team (CST), including the classroom support teacher, class teacher, principal, therapists, early learning interventionists and parents, collaborate in partnership to provide a well-rounded and inclusive program. The CST at St Vincent’s focuses upon the provision of support to children who have learning difficulties or disabilities that make it harder for them to learn or access education than most children of the same age. Classroom support is offered in a way that addresses the students' individual differences and needs. This process involves the individually planned and systematically monitored arrangement of teaching procedures, adapted equipment and materials, accessible settings, and other interventions designed to help learners with special needs achieve a higher level of personal self-sufficiency and success in school.